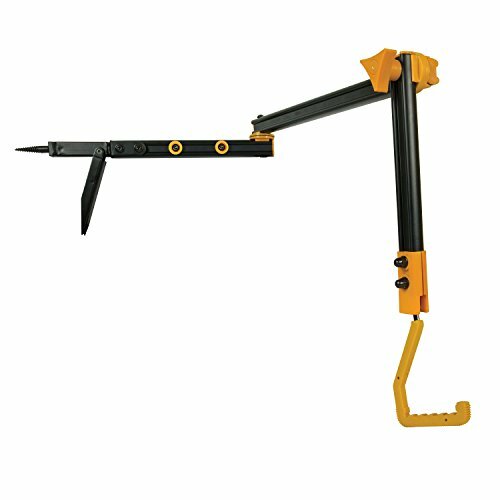 The Muddy extreme multi-hanger is constructed of aluminum and steel and is easily installed with a screw-in steel tip. It includes a leg grip for extra strength, and the ability to fold flat for easy storage and packability. Extends to 36" and folds down to 12.5" for storage and includes a gear hook coated with non-slip rubber coated grip that is adjustable to 360 degrees. Weight rated at 20 lbs.